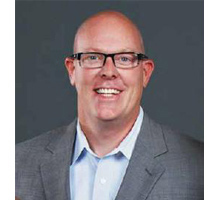 Scott was named Vice President of Nevada Insurance Agency Company in 2000 and President in 2009. Scott is a native of Nevada and graduated from Carson High School in 1993. He later attended the University Nevada Reno (UNR) and majored in Education. While attending UNR, Scott was a member of Alpha Tau Omega fraternity and spent summers as a wild land firefighter for the Bureau of Land Management. Scott’s first year in the insurance business coincided with the privatization of the Worker’s Compensation market in Nevada. This has allowed Scott to specialize in this line of insurance and provide expertise and council on the ever-changing work/comp climate. Scott manages the Reno location and really enjoys working hard for his clients. He is proud of the numerous Companies Nevada Insurance Agency represent’s to serve all types of clients with the best service and competitive pricing. Kyle began his career immediately after he completed his BA in Business Communications at Holy Names College in Oakland, Ca. in 1999. Born and raised in Carson City. He graduated from Carson High School in 1994. His knowledge of local business enables him to understand his clients’ special needs. Kyle’s first year in the insurance business coincided with the privatization of the Worker’s Compensation market in Nevada. This has allowed Kyle to specialize in this line of insurance and provide expertise and council on the ever-changing work/comp climate. Kyle thinks his most vital asset to his clients is his ability to provide superior customer service. Another attribute that he provides is the numerous top rated insurance companies that he represents, so he is always able to find a carrier to suit your particular needs. Kyle was named Vice President in 2009. 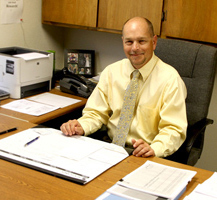 Mike joined the Agency in 1984, and partnered with Tony Schueller in 1990. He has been the President since 1996 and purchased the Agency from Tony in 2002. Mike is a 1969 graduate from UNR, with a Bachelor and Masters degree in Education and Administration. He was inducted into the UNR Athletic Hall of Fame in 2007 for Collegiate Boxing. Mike works in all aspects of Commercial and Business Accounts for the Agency. Mike was President from 1996-2009 and purchased the Agency from Tony in 2002. Jana Schellin Foster first joined the agency in April 2002. She became a licensed agent in Nevada and earned her CLCS in 2007 from The Hartford School of Insurance in Seattle, WA. She completed her CISR designation in 2012. 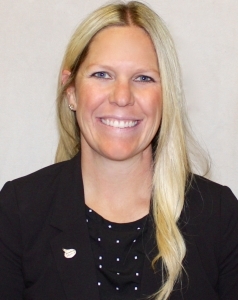 She was born and raised in Carson City and graduated from Carson High School in 1998 and attended the University of Nevada Reno. She returned to the state’s capital in 2004. It is her knowledge and love of her community that drives her and enables her to provide an excellent understanding of her client’s needs. Jana works in all aspects of commercial and business accounts for the agency. 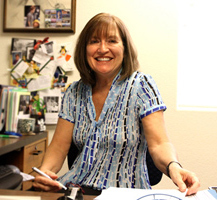 A Native Nevadan, Linda was born and raised in the Carson Valley area. Linda began her career in 1989, serving as a Customer Service Representative for State Farm Insurance Companies, in which she represented several agents and specialized in all lines of insurance. 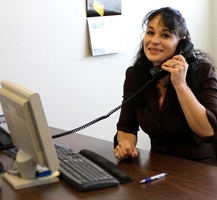 In 1999 Linda joined Nevada Insurance Agency as a life and health producer and works in the Carson City branch. Michael was born in Scranton, Pennsylvania moving to Reno at the age of 7. He graduated from Sparks High School in 1983. Michael joined NIAC in 2003 while working to attain his Nevada State Life & Health Insurance license; which he received in February 2004. 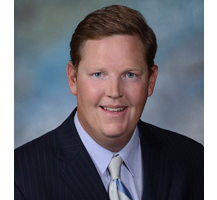 Staying abreast of the insurance industry changes and standards, while working to obtain the best products available for his clients is of utmost importance to Michael; he currently continues his education through the American College. 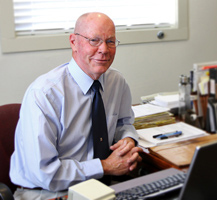 Jim grew up in Carson City and attended the University of Nevada. He is licensed in both property casualty and life and health insurance. Jim joined NIAC Reno office in 2008. Jim has strong ties to the Reno/ Sparks area and enjoys working with all Commercial and Business clients and prides himself on his service. In his free time Jim enjoys the outdoors and spending time with his family. 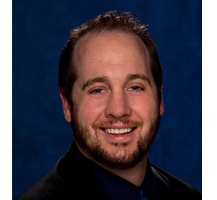 Chris joined Nevada Insurance Agency in March of 2012 as a Producer in Property, Casualty, Life and Health Insurance. 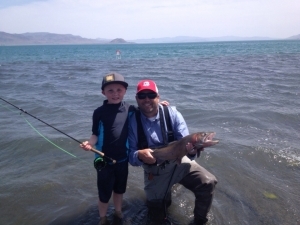 Chris is a Native Nevadan and graduated from Carson City High School in 1995. He later graduated from the University of Nevada in 2001 with a Major in Journalism/Advertising with a Minor in Art/Photography. While attending UNR Chris was a member of the Alpha Tau Omega Fraternity. A native of Washington State, where she began her insurance career in 1970, Shari joined Nevada Insurance Agency Company in July of 1989. Shari currently heads our Professional Liability Department, specifically handling clients in the Medical and Legal Profession. Selected as the National Administrator of the Year for Professional Liability Insurer.